Good Wednesday to you all and good bye to Rudy and John, we barely knew you. Things are beginning to get more clear in the race. 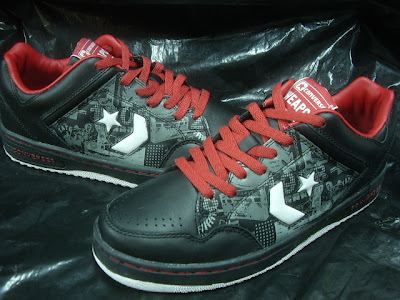 Also while I am at it, if anyone can find a picture of one of the remaining candidates wearing Converse then they'll have The Converse Blog's support. Since it is Wednesday, what you are about to see are some Weapons, so lets get to it. I found these pics on TaoBao.com and I don't think these will be coming out here. 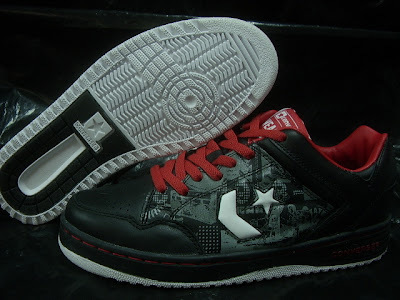 They appear to be taken from a Converse store in China. 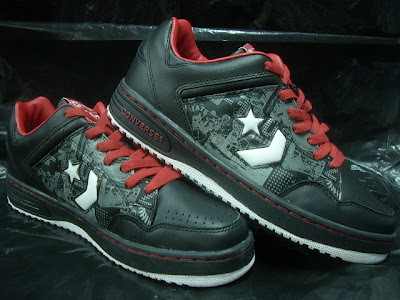 They are black/white/grey/red in colorway. 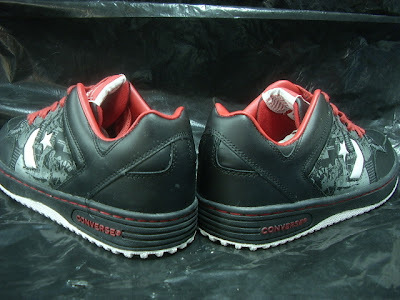 The designs on the sides of these Weapon's come from the old Converse Yearbook covers. I am going to get to one of those someday. There is only one day left to Vote in the poll, and it looks like Running/Training is in a good position to win. Thanks for coming to the Converse Blog, tell strangers about it!